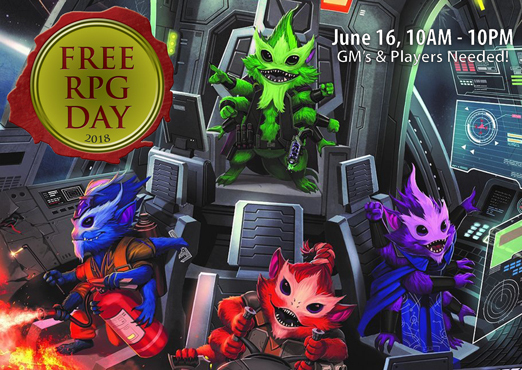 Free RPG Day is a national event that allows fans of role-playing games a chance to try out titles and receive free swag doing it! 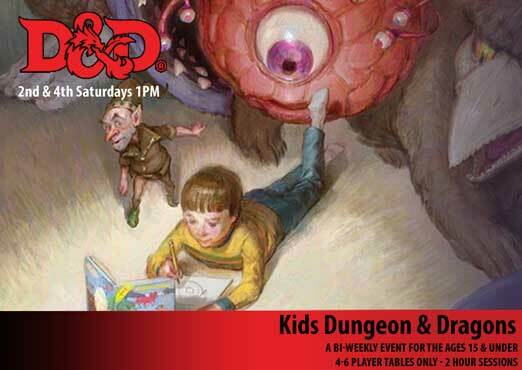 All day long we’ll have a table of RPG treasures that you can choose from (we’re asking that you take no more than 2 so everyone can get something) and then you can take part in one of the MANY games we have planned. It all happens this Saturday from 10 to 10! 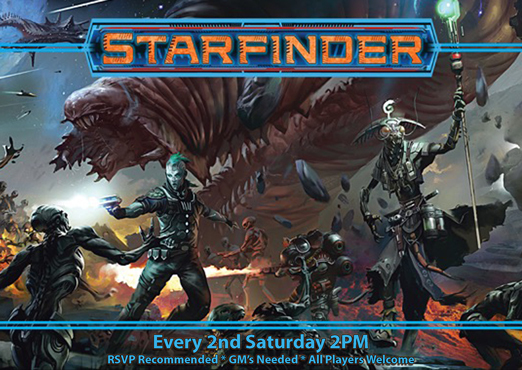 If you are a GM, we could still fit you in. Do you want to run a game? 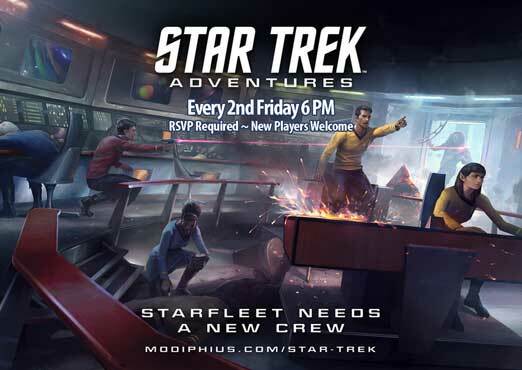 Let us know right away and we can add you in as an afternoon or evening game. All GM’s get a choice of GM gift and a copy of the free material matching the game you are running. In case you haven’t heard, we’ve moved the monthly showcase to a weekly reoccurring event. 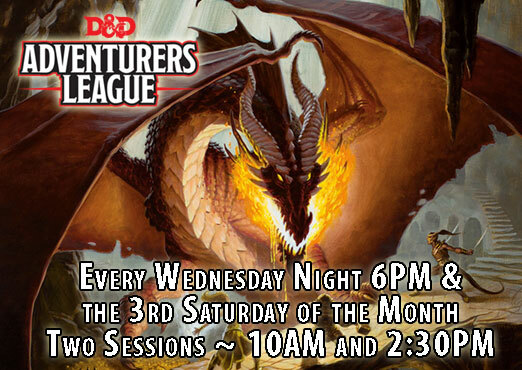 Every Tuesday at 6:30PM we run an independent RPG for a few sessions… enough to let you get a good taste of a mini-campaign before moving on to the next title. 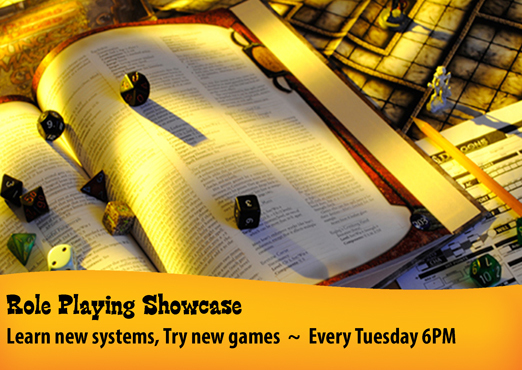 We’re asking that you bring your imagination and your dice as we cover tons of genre’s, settings and game mechanics! 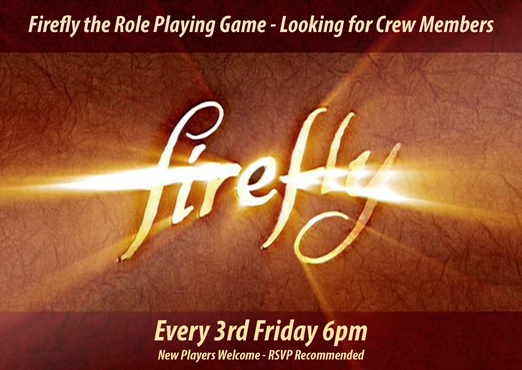 On June 29 at 6PM, as part of our Friday Night RPG, we are testing a new RPG Reality Shift. 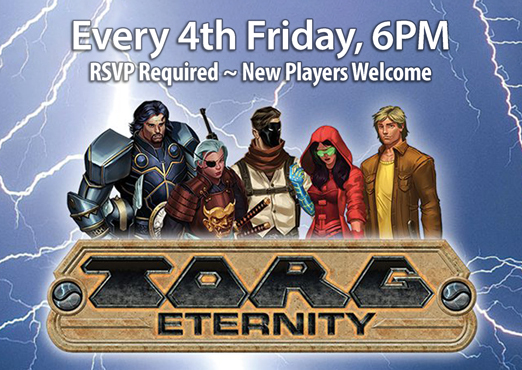 We’re needing players and are hoping to fill the table in order to get the full experience! No reservations needed, just show up! 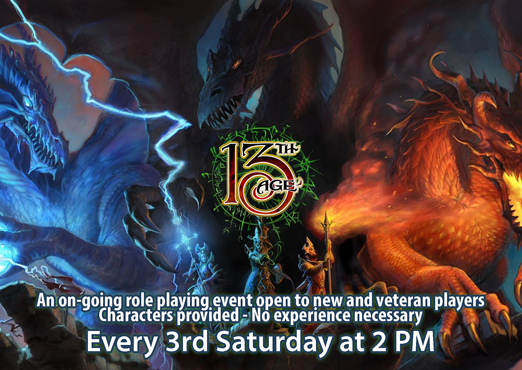 We are starting our 15 and under campaign for the summer. 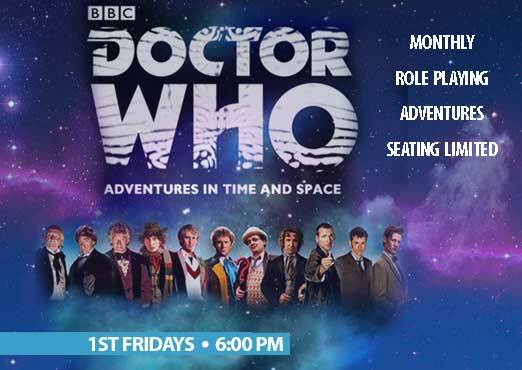 Starting June 23, it will run through August every 2nd and 4th Saturdays from 1 to 3. This is a kids only table but we ask that parents/guardians stay and watch younger kids. This is limited to two table with 3-6 kids per table maximum. Generally a snack break happens in the middle to help with focus at the table. If interested, please RSVP today. Any questions? 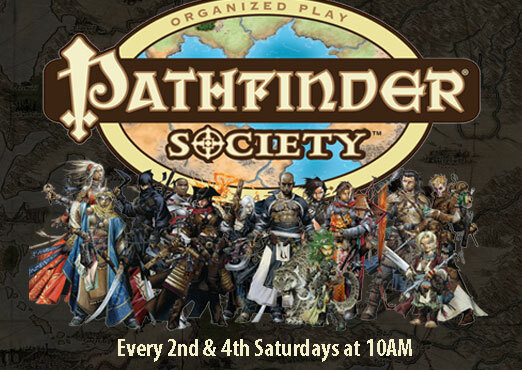 Visit our Role Playing Page for the latest updates or contact the store. 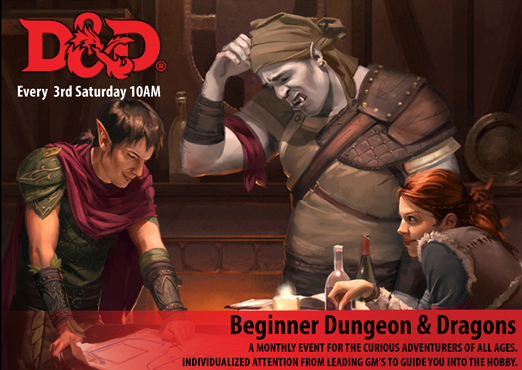 RPG events at the store are managed by Cameron and JM-all questions can be addressed to them.